Photos courtesy of Stuart Balch and Mike Jones Sr. 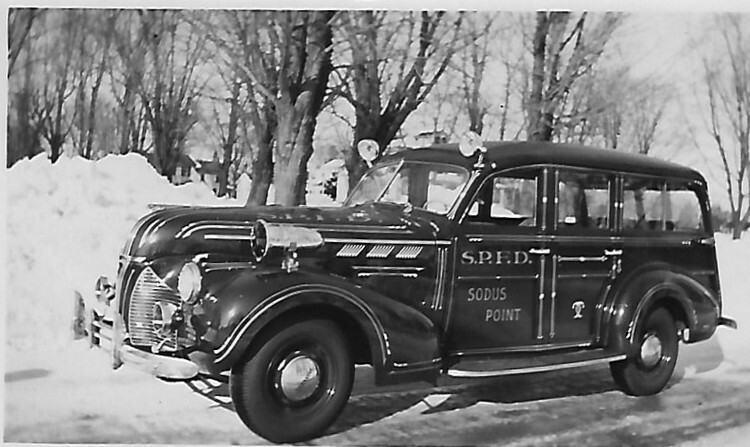 The above photo shows Sodus Point’s first ambulance. It was a 1940 Pontiac “woody” station wagon. The Fire Department bought it new circa 1940. In those days, the ambulance did not have designated drivers but instead utilized the first responding fireman.